MacDailyNews Take: Time to replace those aging iMacs! It took the biggest company in the world two years to give us what is essentially a speed bump? I think that would be a bad thing! I don’t think anyone wants to go through another processor change. It wasn’t bad the last time, but going to something proprietary I am against! I think Apple needs to open up more! Bullshi- Intel is getting in the way, and where is the larger screen? 27″ forever? Finally. Now to watch for the speed tests and replace the 8.5 year old iMac. Finally! I wonder why no T2 chip? 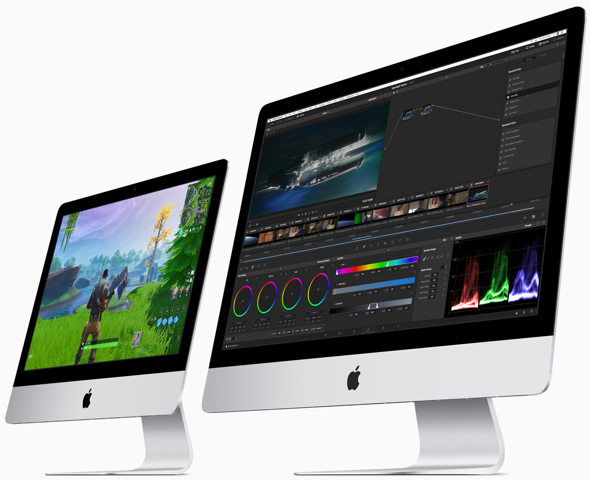 Sometime in 2019, I’ll upgrade my 2012 iMac. Where is Citizen SuX and AppleSinnic with their ascerbic commentary pulled from their a$$e$? I’ve been waiting to replace my late 2008 MacBook Pro. I’m very happy this morning. My 2017 iMac still feels as fresh as a daisy. Congratulations to those getting new iMacs! Its amazing! They updated the imacs with last gen processors and the ones with the current processors theyre charging you more than the processor costs to buy yourself from anywhere else.